Yes, brows need moisturizing too. Get your brow game on fleek. 1. 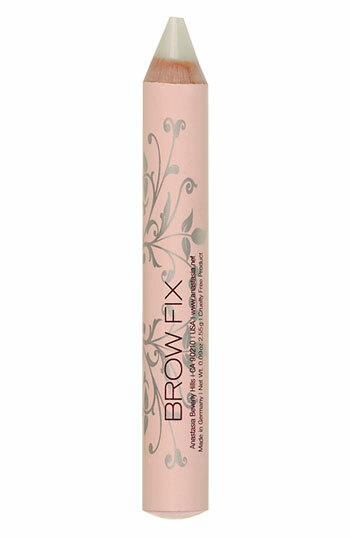 Benefit Gimme Brow Volumizing Fiber Gel ($22) – This colored brow gel is great to wear alone, or layer over a brow pencil or powder for more color and thicker arches. The applicator is like a mascara wand, but tapered to half the size so it’s ideal for brushing on brows, where most gels with larger applicators can get quite messy. Comes in two shades: light/ medium and medium/ dark. 2. MAC Brow Finisher ($16) – A maleable wax that keeps unruly hairs in place. While you can use it over a brow powder or pencil, it’s also great for ladies with naturally fuller arches. 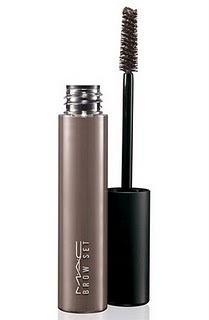 This incredible stuff leaves brows looking polished, groomed and conditioned. I use at night before bed as “training,” to keep my hairs growing upwards. 3. Anastasia Mini Duo Brush ($18) – Just about the most important brow tool… ever. This brush allows you to apply powder into sparse areas of your brows while the flip side, the spooley, works wonders for brushing powder and pencil into place (so that you aren’t left with harsh lines) and making the overall look appear more natural. 4. Anastasia Brow Powder Duo ($23) – When it comes to powder, it’s best to purchase a product that gives you options – a duo. There are a plethora of great powder duos on the market, but Anastasia’s is my favorite. The two shades can be mixed together to create your perfect brow match, and the pigment is more subdued than that of other companies. 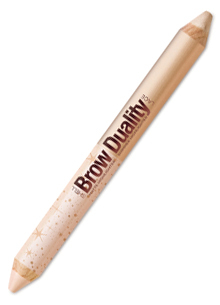 However, another duo that is worth trying is Benefit’s Brow Zings ($30) (they come with mini tweezers!). The only caveat is that they don’t have as many color combinations to choose from. TIP – Wherever the powder first hits your brow is the area that will get the most color, so make sure to start in thin sections, lightly feathering brush and powder onto brows in quick strokes. 5. It Cosmetics Brow Power ($24) – If you prefer to fill in your brows with a pencil (the preference is completely up to you), then this one is the best. The formula isn’t too waxy, as many brow pencils tend to be, so the color stays in place. And, again, this universal shade is a bit subdued so it gives a more natural effect. Start with light, feathered strokes in sparse areas and continue to build until you have achieved thick, lush arches. This pencil also has a patent-pending technology that actually helps hairs grow! And if you’re still not satisfied with your brows, invest in a serious brow enhancing serum like neuBrow Eyebrow Enhancer. Although pricey ($100), this stuff really works to regrow hair in sparse areas. You’ll have (naturally) lush arches in about 30 days. Click here for my 2 minute brow shaping tutorial! “I think there is going to be much more attention to the brow for fall/winter 2015 as attention to the brows is becoming more fashionable; filling in the brows to define the shape.” explains celebrity makeup artist Robert Sesnek, whose clients include Chrissy Teigen, Lily Adridge, and Kiernan Shipka, all of whom have full, fabulous brows. 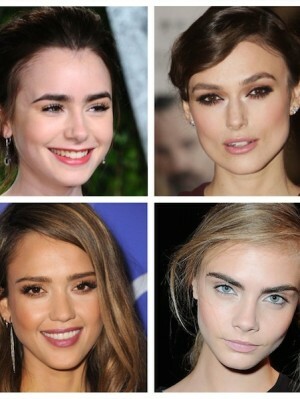 But emulating the bushy brows of some of our brow crushes, like Cara Delevingne, Lily Collins, Jessica Alba, and Keira Knightley, can prove quite the feat. “The brow shape should always compliment the shape of the person’s face,” Sesnek urges. So, we asked Sesnek how to wear – and style – your brows this fall, depending on your face shape. ROUND (like Lily Collins) – A rounder face should have a higher arch to add length the the face. SQUARE (like Keira Knightley) – A square face should have a rounder/soft arch to soften the features. OVAL (like Jessica Alba) – An oval face can carry an eyebrow that is not too defined and not too round but somewhere in between. HEART (like Cara Delevingne) – A heart shaped face should have a straighter brow to lessen the length of the face (and increase width). 1. Brow pencil – Use to fill-in and create tiny hairs. RS PICK: Maybelline Eyebrow Pencil in blonde is possibly one of the truest and best blondes out there. Also, for $3, you can’t beat the price. 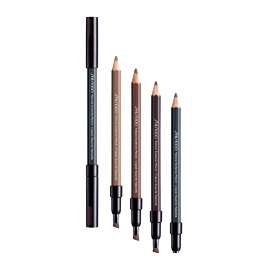 I prefer Laura Mercier Eye Brow Pencils ($20) for all other shades. 2. Brow Powder – Much easier for a novice. Start small and build up to desired depth. 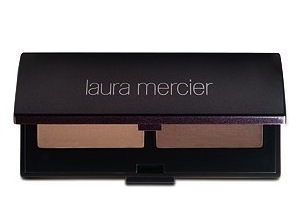 RS PICK: Laura Mercier Brow Powder Duo ($24) . You get two shades for the perfect match and they last FOREVER! 3. Spooley and/ or Brow Brush – A MUST for softening pencils and powders. RS PICK: Anastasia Spooley/Eyebrow Brush ($18) for perfectly blended brows, with a spooled on one side and a brush on the other. 4. Brow scissors – Having full arches is great, but trimming the longer hairs is equally as important. RS PICK: Tweezerman Brow Scissors ($18). I love that they have a softer tip so you can’t cut the skin. RS PICK: CoverGirl Clear Mascara ($5) holds brows beautifully and has a soft sheen that doesn’t cake. “I’ve seen a lot of big, full brows on the runways, like Chanel and Dior Fall 2013 Couture. I’m very excited to see that trend on the red carpet: Think Keira Knightly, Lily Collins, Rooney Mara and Cara Delevingne. A good brow is EVERYTHING! Fill those puppies in! Brows can be filled in with either eyeshadow, pencil, wax pot or colored brow gel/mousse. Depending on how dramatic you’d like them, any of these products can work for you. The key is in application and blending. Typically a stiff, angled eyeliner brush is recommended to apply eyeshadow to brows, but I prefer using a fluffy eyeshadow brush for application. It distributes less color so that it looks more natural. Also, you can mix a couple of brow products together. Use a wax pot and then add eyeshadow in certain areas. Or apply a brow pencil and then brush them out with a colored gel.” —Celebrity Makeup Artist Mai Quynh, who works with Jessica Chastain, Emma Stone, Amber Heard and Ginnifer Goodwin. *Help sparse eyebrows grow with Anastasia’s Brow Enhancing Serum Advanced ($45). Apply nightly – this stuff really works! The F/W 2011 runways saw their fair share of defined brows. And I’m going to get a head start. this Spring, it’s all about the arch for me. I suggest you do the same. What’s your favorite brow tool? Fall is just around the corner and brows are back. Here, Hibba Kapil, browologist and owner of the popular Hibba NYC salon, dishes on brow looks for every face type. Eyebrow Type that works best for her: Thick elongated arched brows with slightly tapered ends. The width in the middle should be determined by the start of the corner of the eye. The actress has perfect brows but since they are curly in texture a little tighter trimming will be appropriate. How to get Lea’s Look: The first step should be to tightly trim the brows by holding scissors in a slant angle sort of 45 degrees. You do not want to touch the top other than a little clean-up. Try to create a same slant of 45 degrees towards the arch point which is farther away from the midpoint. Then towards the end, go a line thinner than the front. Finish the look with a brow filler to make the brow appear fuller and a clear mascara to top it off. Hibba’s Insider Tip**: Always draw yourself a nice outline before shaping the brows. Brow type that will work best for this face: Thick all along but with round accents which of course Kim has. The width of her brows is perfect. How to get Kim’s Look: Start with little trimming just at the fronts (Not all along). Tweeze a line on top and then a line on bottom since we want to keep the same thickness. Do not touch the ends to keep the look as natural as possible. End with a little brow filler depending on what kind of growth you have. Brows that work best for such face type: Medium thick elongated arched brows to counter balance her pointy chin. The width in the middle should not be less that the starting point of the eyes. How to get Christina’s Look: Very little or no trimming at all. Depending on your current thickness you might just want to leave the fronts very natural with a slight clean-up of the fuzz. However, slightly thinner ends with an arch in the mid-point will be appropriate. Hibba’s Insider Tip**: A square front look will look great on a round cheeky face structure. Brow type that works best for this face structure: Thick arched brows with arch points beyond the mid-point. For her age the thicker the brows the better they are. How to get Sophia’s Look: To create this look you want to not touch the fronts and the ends. The arches are beyond mid-point. Thicker in front and thinner in the ends but only slightly. Brows that work best for this face type: Medium thickness with a soft arch. Heidi needs a more of a gap between her upper lid and brow but she rocks always always! How to Heidi’s Look: Depending on what you have got naturally you just want to slant the tight trim on the upper side with a 45 degree angle. Such bone structure can use some space between the upper lid and brow bone, so remove just one hair line in a 45 degree slant, underneath the front before the arch point. Eyebrow King Damone Roberts dishes on the skinny for the fall brow. “The eyebrow’s are the single most important, underestimated features on the face,” says Damone, who has brow bars in both LA and NYC. I’m in constant brow envy so I’d have to agree with the King. Damone’s been known to pluck the arches of everyone from Madonna, Beyonce, Gwyneth Paltrow, Megan Fox, Vanessa Williams, Mandy Moore and Alicia Keys. SARAH HOWARD: What’s the look? SH: How does one achieve this? DR: Remember to keep the inner part of the brow more natural, while tweezing your way towards the end of the brow as your line get thinner. You then brush your brows down, before taking your brow pencil or powder to define the highest part of the arch. After defining the highest part of the arch, a brow gel is needed to brush them back up and hold them in place. The reason for doing this is to keep the brow fuller and more natural, yet still adding the lift and definition required to give you the ultimate fall brow look. SH: What celebrity gives good brow? DR: My clients Megan Fox and Beyonce are both now rocking this look flawlessly! SH: Why does this look work now? DR: Because women are starting to realize that fuller brow’s are softer, younger and more approachable than thin, severe brow’s of the past.